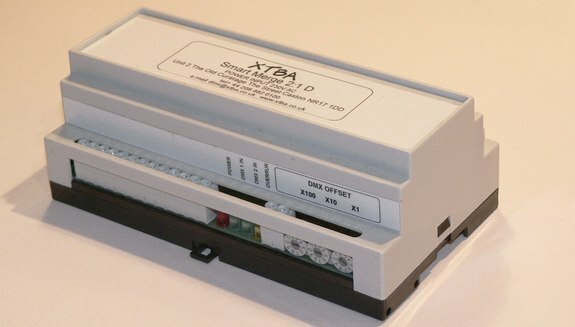 XTBA's SMART MERGE is designed to take two DMX512 data streams and combine them into one complete DMX512 output. 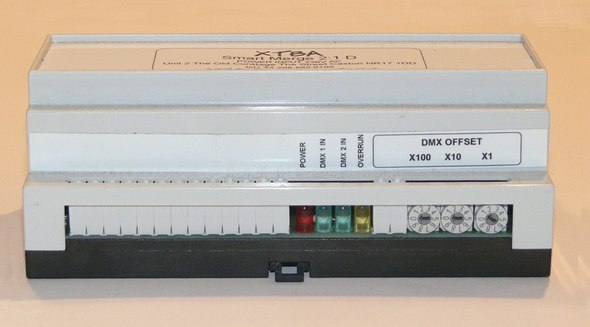 This allows two DMX transmitting devices (e.g. 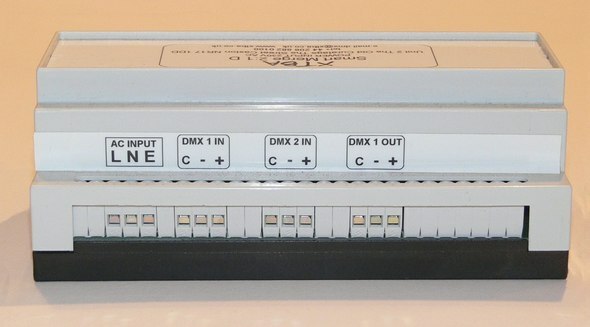 lighting controls, scroll controllers, moving light controllers) to be effectively linked together; the resulting data stream fed to dimmers decoders, scrollers etc. on one data line.